In little more than a week, we’ll mark 40 years since one of the darkest days in American politics, government and culture – 40 years since President Richard Nixon resigned our nation’s highest office. Much has been written and reviewed about Watergate. So much that there would seem little room for anything new. 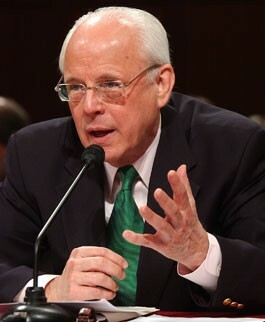 John Dean played a key role in the Watergate tale. He served as counsel to the President during that time, and while he did not know of the break-in when it occurred nor of White House involvement for many months later, he found himself – perhaps unwittingly – becoming a central player in what he calls The Nixon Defense.